There’s one thing that music schools at state universities, private music schools and professional orchestras all have in common- the need to keep an eye on costs. Traditionally the one method for these institutions to maintain a selection of pianos was to buy the pianos new and maintain them over the years. However that up-front purchase cost would be prohibitive in most cases plus keeping all instruments maintained and tuned could require a full time tech, not to mention the ongoing year after year wear-and-tear. The Institutional Piano Loan Program provides an option to this costly system. 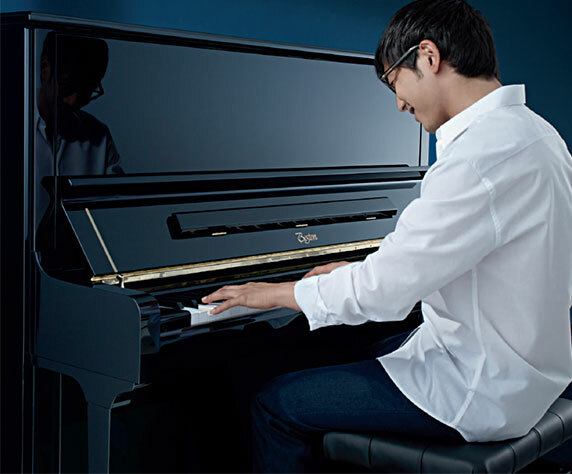 At West Michigan Piano our Institutional Department can work with any group to provide a custom solution to this costly up-front purchase option. Generally, all pianos required by the music department for an academic year or performance season are loaned through a partnership of the dealer, and one of the world renowned piano manufacturers we represent- with minimal cost incurred by the institution. For more information on developing a program for your music department call West Michigan Piano at 616.575.2100 and ask for Ken.